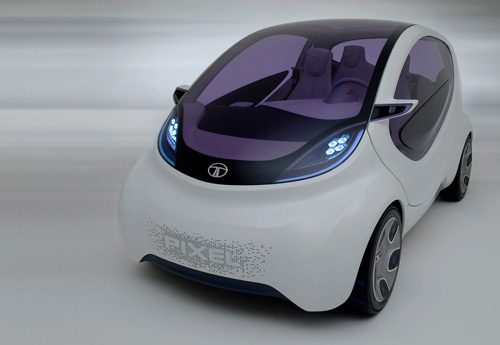 Home / Car / News / TATA PIXEL -- A fresh city car concept. 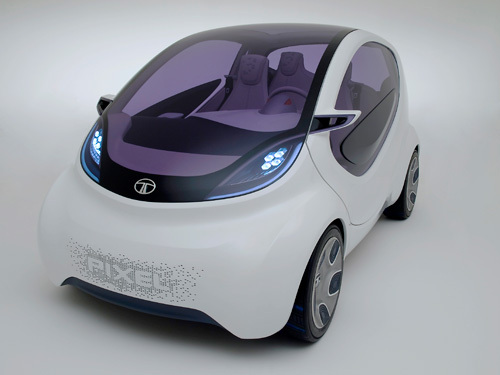 TATA PIXEL -- A fresh city car concept. 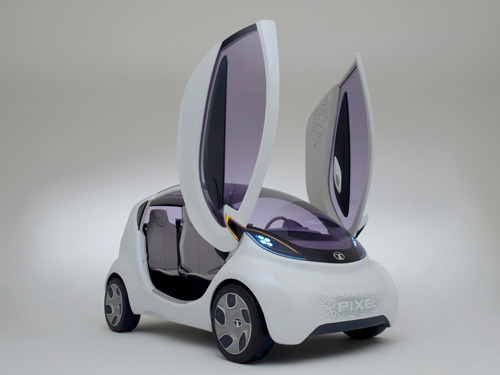 The 'scissor' doors rotate upwards from the front to allow all four passengers to effortlessly enter or exit the Tata Pixel, even in the tightest of spaces, while the doors' large glass area provides excellent visibility. 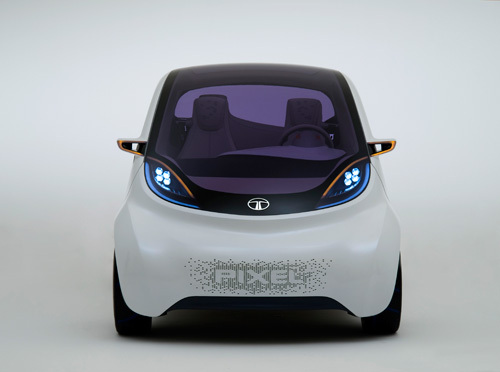 The Tata Pixel also introduces “My Tata Connect” -- the first integrated human-machine interface (HMI) concept from Tata Motors for its new generation programmes. 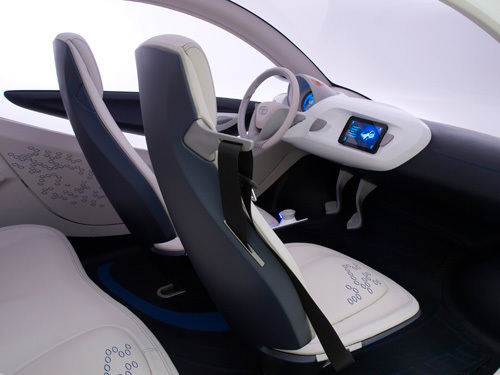 “My Tata Connect” enables seamless integration of the user’s smartphone or tablet with the vehicle’s infotainment system and also allows controlling key functions of the car. 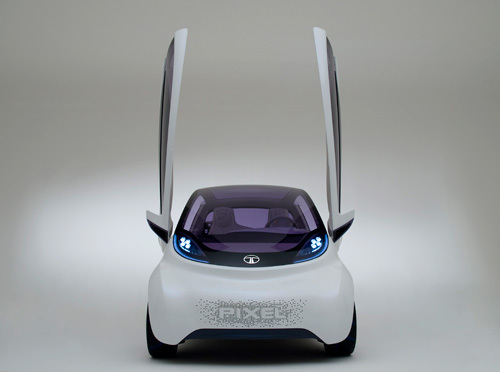 This provides a customised, user friendly, all-in-one touch screen display, while also allowing the driver to remain seamlessly connected to the external world in much the same way as they would be when at home or in the office,istening to favourite songs, internet news and sport or stock updates. In addition to serving as the infotainment display when docked in the instrument panel, the tablet also allows temperature, ventilation and air-conditioning settings to be adjusted through its touch screen, as well as displaying information on the vehicle's performance. 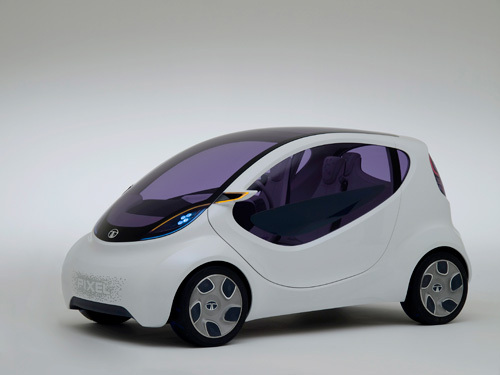 Charge Mobile Battery with leaf.